Do you have an ad budget? So, why, precisely, do you have an ad budget? If your ads work, if you can measure them and they return more profit than they cost, why not keep buying them until they stop working? And if they don’t work, why are you running them? But I don’t have the ads that work and I still run them from time to time. Why? Because I hope that this time they will work. Because on different site they may work. Because I am not sure if they work or not. Maybe my tracking mechanism is inaccurate? Or maybe I just like wasting money (at least those are my own dollars). But seriously, if you have the ad that works why not buy it until your credit card limit? Is a freeware game good advertising tool? Your game is your best marketing tool. If can, make one by one and you’ll be rich. The problem is, that most of us don’t have resources to do so. One of the ways to obey this is to release a freeware game to promoto your site. Freeware game doesn’t require the same amount of polish and content as a commercial game. This means you can finish it faster. If you treat this little freeware game as an experiment to check if your game mechanics and ideas work, you may get great feedback and promote your site. Later, based on the feedback collected from your players you can build top-notch quality commercial game. Amanda Fitch from Amaranth Games made her first game available for free. It was RPG game and was downloaded 1 millon times. She builded her site credibility and user base. And when she released Aveyond she had a lot of players waiting for game. We, at ANAWIKI Games, try to do it a little different. We wanted to learn some new stuff and decided to create a little JigSaw game with artwork from our other games. 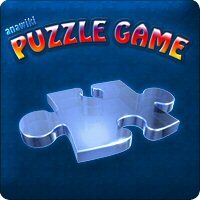 The game is called ANAWIKI Puzzle Game and is available for PC and Mac Intel. The trick is that the name and game content promote ANAWIKI or our commercial games. The game was just released so I cannot say how popular it will be, but we’re planning to do commercial version of this game with a lot more artwork and game play modes. By the time we reach beta stage I hope to have enough feedback from our players and beta testers. Take care and have a happy New Year 2008! Christmas is coming – are you prepaired? Year by year people spend a lot more shopping in December. But do they buy more digital games? I don’t have the stats to say yes or no, though I have some comments. I am sure more people is busy during Christmas. Everyone is looking for Christmas gifts, Christmas Tree, closing the year, haunting for the best New Years party. No time to play, no time to buy games. Anyway, can you imagine digital game as a gift? It doesn’t look good under the Christmas Tree. A lot of companies offers promotional coupon codes, some even let you save 40% on purchase. Make something special for your customers that are generous enough to play your game(s) during the busiest period of the year. It doesn’t have to be a coupon code, but a coupon code is better that nothing. Use your imagination. And let me know how did it work for you.